This time we’re going to discuss one of the most important parts of every workout routine – the legs. Strong leg muscles are essential – there is literally not much to do if your legs are not strong enough. Running, climbing, jumping – each of this activities (and so much more as well) requires strong legs, so if you want to progress in your training, you have to cover this base for sure. But before you start some serious bodyweight leg exercises, see what is out there for you to prepare yourself! OK, there’s a possibility that you don’t need this type of preparation, but better safe than sorry, Some of the best leg exercises are pretty advanced so it would be good for you to know whether you’re on right level of skills or not. 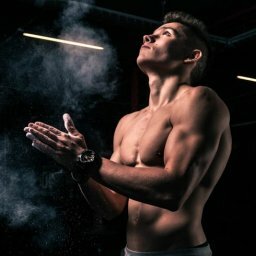 So here are some exercises you can do to make sure that you don’t have problems with hip mobility, squatting technique, or jumping technique. You can also do some general strengthening exercises which will help you work on your locomotive skills. Hip exercises: you can start with lying hip rotations – lying on back with both knees bent cross one leg over the opposite knee. Rotate the hip in and out. Then proceed to some stretches (for example butterfly stretch) and lunges, like kneeling lunge, when your knee (on the floor) and foot is about the hip width apart from the elevated leg. It’s important to keep the chest tall and hips square. After you’ll master the deep squats technique, proceed to the pistol squats (with one leg straightened out in front of you), where extreme mobility of the hips, knee and ankle will be required. Simple jumping technique: yes, jumping is an exercise, and it also has its proper technique: you prepare to jump by swinging your arms and at the same time your hips hinge. Then the glutes, hamstrings, quads, back extensors, and calves are activated, and your body weight shifts to the balls of your feet. At the beginning of the jump, you contract the leg end core muscles and in the middle of it the hips and shoulders open as you swing your arms up to the ears. At the highest point, you’ll have full body extension. Then your body starts to prepare for the controlled landing when you have eccentric loading which helps absorb the shock. But when you’re using a plyo box, don’t jump of it, but rather descent to minimize the danger of contusion. Locomotive exercises: here comes the bear! In every possible variation – simple (straight legs and arms) or with bend arm, bend leg, bending elbow. And here’s when it gets interesting. After practising the exercises described in point 1 you may proceed to more advanced leg exercises, where you can be assured that you’re going to work on your upper leg muscles, your thigh muscles and in general on explosive power of your legs. These are really effective leg exercises for men. Let’s start with lunges to work on strength, stability and flexibility at the same time. How to do it? Stand and step one leg backwards bending both knees to a 90 degrees angle. The front leg shin should be vertical, and the knee shouldn’t pass the toe. Your torso should be upright and tall, do not lean forward. When switching legs, put the front leg heel on the ground and then stand up to your original position. If you have a problem with flexibility, you can always use a bench or a box to make it a bit easier. Back leg elevated lunge – and here’s another variation of this exercise: elevate one leg, the other one is on the floor mainly as support. The body weight is on the balls of the back leg. Keep your torso straight and tall. Engage the quads and hip flexors on the elevated leg. Box jump: now the squatting and jumping techniques will come in handy! Your feet shoulder-width apart, go to the deep squatting position. Jump high activating your entire body. Land softly into the starting position on a floor or a box, touching it with the balls of your feet. Deep jump: jump from some elevated surface (not too high at the beginning) and land softly on the balls of your feet. Proceed to glute bridges : lie on your back and bend your knees. Place your hands flat on the ground at 45 degrees angle. Push your hand and feet to the ground and at the same time raise your hips. At the top position tighten the abdominals and squeeze your glutes, that way you won’t be arching at the lower back. Calf raises : you can do it without holding on to anything, just cross one leg behind the other’s heel and raise the remaining foot so as the bodyweight shifts on the feet’s balls. Raise your arms slightly for balance. When you prefer to grab something, just raise one leg into the air and work on the other one. You can also use small step and put the ball of the working foot on it. One thing – check whether or not you can do ten reps correctly. If not, it’s best that you start with raising two legs at the same time. Running man : while lying on your stomach place your hands shoulder wide apart and then raise yourself so that your weight rests on the hands with the straight elbows. Your knees and hips should be straight too, and the legs close to each other with the toes resting on the ground. Keep the abs tight and the back slightly rounded, and the knees, hips, back and shoulders should be in line. In this position, perform the running action with the legs. It’s high time for some gadgets! Of course, your bodyweight is more than enough to make your leg muscles strong! But if you want to speed up the process, why not? A resistant band and some additional weight is a perfect way to do it. You can use the resistance band during your calf raises exercise as well as lounges and squats. You can even try a burpee (starting in a squat position, kick or step your legs backwards into a plank position and complete a pushup. Next, jump or step your legs back into the squat position and explode into a vertical jump. Bring your body back down to the squat position and repeat) with resistance bands! You can also perform exercises specific for resistance band, like for example one when you stabilize the band under your feet and then start pulling it up with the force that comes from the hips, gluteal, and quadriceps muscles. Try not to change the position of your upper body while you’re pulling the band up. As the band is moving upwards, you should descend underneath it and flip your wrists, so your arms are almost parallel to the floor. The band will then be positioned at about shoulder height. You should be in a front squat position and then will stand up with the band. As for added weights during the workout… that will be a real boost if your goal is to strengthen your leg muscles. You can do for example the goblet squat when you lift the kettlebell off the ground and hold it in front of your chest during squats. In fact, it doesn’t have to be a kettlebell at all; you can use any nearby and heavy object. You can also use a weighted vest and perform squats and lunges wearing it. But it’s best to do it on a week on / week off basis. And remember to warm yourself up properly before the training! When you really get into your leg routine, it is more than likely that some troubles will eventually appear. Here’s the list of very common ones along with the exercises to help you deal with them asap. If you have any issues with balance, try doing some front and back scales: it’s yet another excellent assessment tool that will help you identify problems either with some body part’s flexibility or strength. But do the exercise correctly: slowly and in a very controlled manner. Raise your hands on your sides until they make a straight line. Then lift one of your legs so as you can touch the another leg’s knee with the sole of your foot. Then straighten this leg in front of you. Bend the knee again and launch your upper body down. Straighten the leg behind you to put it in one line with your torso. Lift your upper body, so your back is straight and at the same time bend the knee again. Then straighten the leg once again in front of you. Repeat. Ankle problems? Try doing some straight and bent leg calf stretches. Any issues with hamstring flexibility? Do stretches (with straight legs would be ideal but it’s not a problem if you’d prefer to bend them) with flat back (or only slightly arched), and a chest kept high. And a very important general remark: don’t force any stretch and don’t hold them too long. Try doing more reps instead. Watch out for your knees! To prevent a knee injury, try doing some circles to increase its tolerance of rotational moves. You can do the circles on both legs at the same time or work on them separately. But remember: no additional exercise can prevent you from having an injury. Only proper exercising technique and lack of muscle imbalances can do that.